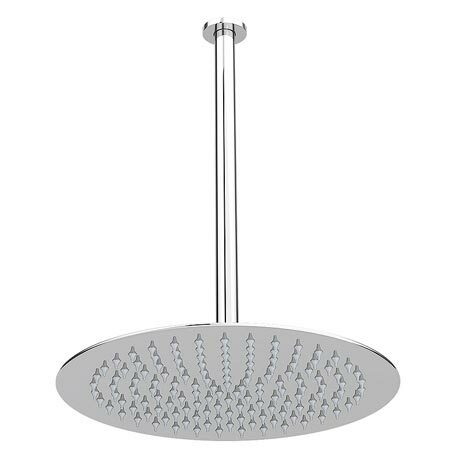 The Cruze ultra thin round shower head with ceiling mounted arm offers a stylish minimalist design that looks great in any setting. Suitable for all plumbing systems and features rub clean nozzles. Our range of Shower heads are ideal for renewing the style of your bathroom affordably. Stainless steel construction with a stunning mirror finish. "Good product, Easy to fit and of a good quality. The shower head is a good size and gives a good rainfall shower. I probably should have gone for the 200mm arm just in case I have any tall people wanting a shower but this size is ok for a short like me."